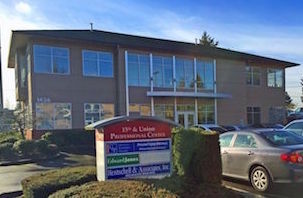 Originally located at 1113 ½ A Street, the company bought property in 1929 on the Thea Foss Waterway and built its main office and plant there in 1936. That same year the company became Woodworth & Cornell. Harold Woodworth became president in 1940, at which time the name was changed to Woodworth & Company, Inc. Harold’s son, J. Alden, became president in 1952, his grandson John in 1973 and his great-grandson Jeff in 1997. Our ledgers and contract books encapsulate the history of our area’s development. Over four generations we managed all phases of heavy construction, including earthmoving, underground utilities, site development, road construction, asphalt and concrete recycling, and asphalt paving. Initially, we took crews all over the state on paving contracts. During World War II we paved plane shelters for the U.S. Army and in 1942 built wartime housing in Lincoln Heights. 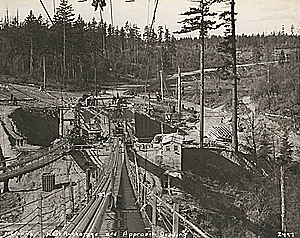 In 1938 we began construction of the Tacoma Narrows Bridge’s initial end anchors and intermediate piers (the parts that didn’t collapse! 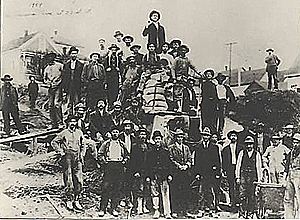 ), built the roads leading to and from the bridge and paved the span. 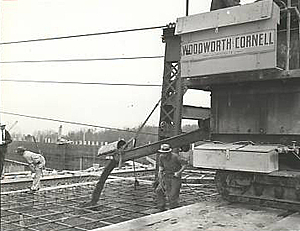 In 1941 we began demolition of the remains of the collapsed bridge and in 1948 began construction of the center and end piers and anchors of the replacement bridge. 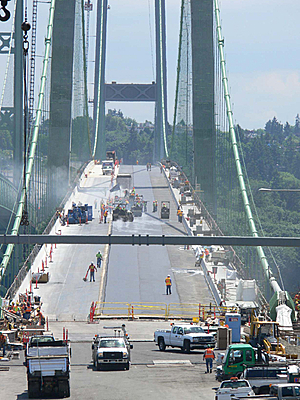 In 2007 we paved the new Narrows span. During the 1950s, ‘60s and ‘70s we worked on numerous Federal Interstate Highway System projects including construction of I-5, I-90 and the Factoria Interchange. From the 1980s into early 2000 we added commercial, single and multi family site development to our business. In 1985, the Small Business Association recognized us as Contractor of the Year for work on the McChord Air Force Base runway. In 1991, the America Public Works Association named us National Contractor of the Year for building and reconstructing Main Street in Auburn. We sold the construction and manufacturing portions of our business in 2009. After the sale, we moved our focus to the acquisition commercial real estate, real estate partnerships and investing in our excess land holdings. Currently, we own numerous single tenant investment properties, and partnership in several multi-family housing and commercial retail properties.